The picture above shows a module from the London Eye. 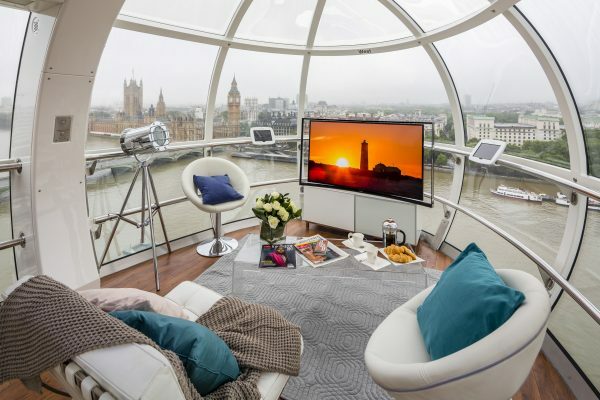 Samsung are launching their award winning curved OLED TV in the ultimate room with a view today in EDF London Eye (for one day only). While the curved OLED offers you a great contrast and an amazingly sharp picture, it also offers Multi View, a new technology that lets viewers watch two channels at the same time. We love the idea of the OLED launched in London Eye, our only issue is that we weren’t invited!